At Westport Eyecare, we provide care for all of your vision needs. Our office offers a wide spectrum of products for both eyewear and contact lenses. Eye muscle tracking and coordination is vital for performing well at school. We treat and manage a spectrum of vision and eye health conditions. Fashion-forward frames and a diverse selection of beautiful sunglasses. Top-of-the-line lenses and materials for the creation of your glasses and sunglasses. 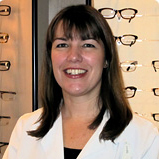 Welcome to Westport Eyecare Associates! We are a private practice dedicated to providing comprehensive eye health and vision care for adults and children of all ages. Utilizing the most advanced technology and latest products, Dr. Barbara Manion and Dr. Jessica Yu are able to treat and manage a spectrum of vision and eye health conditions. Utilizing the most advanced diagnostic technology and latest eyecare products, Dr. Barbara Manion and Dr. Jessica Yu treat and manage a spectrum of vision and eye health conditions. Dr. Manion specializes in the fitting of contact lenses, especially multifocal contacts, the treatment of surgical, pathological and dry eye cases and the thorough and caring examination of all age groups. 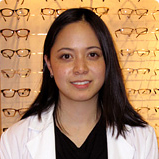 Dr. Yu, a dedicated cornea and contact lens specialist, fits and manages all types of soft contact lenses, more complex rigid specialty lenses, and treats anterior segment diseases like keratoconus and post-operative cases.